Avengers's fans cannot miss this game. 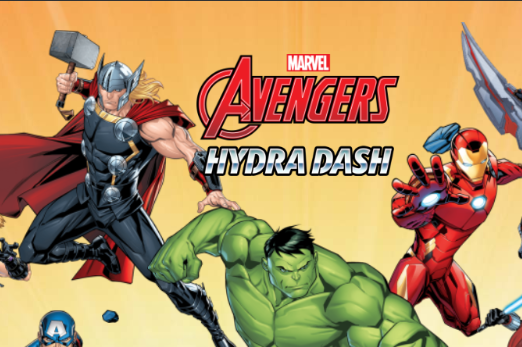 All of the Avenger characters will be by your side. 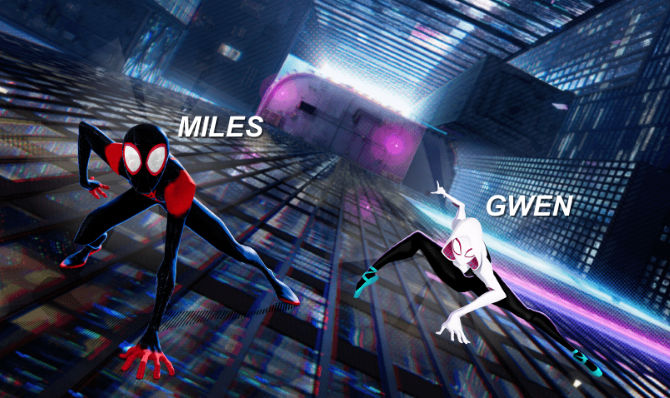 Choose your favorite character and use their power to play. Of course, you should make a selection at the beginning of the game level. Save money to buy characters you want after levels. Begin battle fight in the air, destroy your enemy with your friend. Together, the game will have much more interesting. 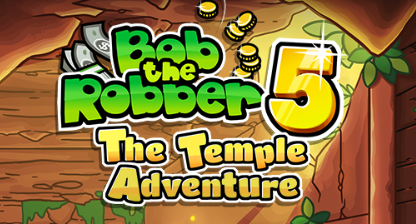 Bob needs your help in finding diamond inside a temple. This type of diamond is really rare, although he has map, he cannot avoid mummies and traps by himself. Help him! Spiderman is now back to New York city. 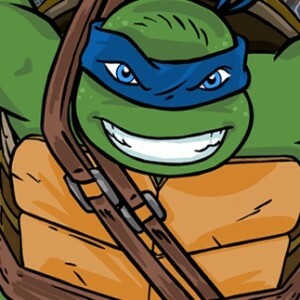 This time, he is going to find bad guys and monster in the city. Help him to complete missions. Starting a new adventure at Aztec pyramids. 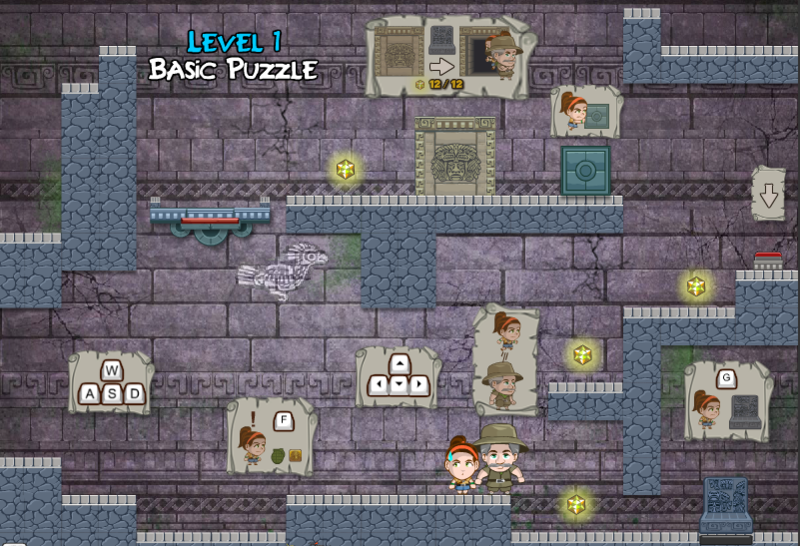 You and your friend will play as daughter and dad to find hidden treasure which are protected very carefully. You have to complete all levels to get what you are looking for. Have fun! 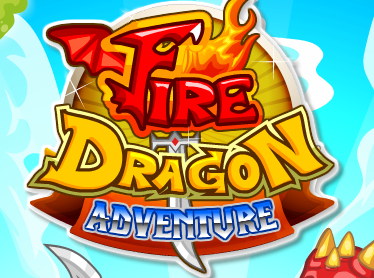 This is anadventure of a little dragon and a knight in the land of evil magicians and dangerous creatures. They have to complete a mission in this adventure, clear all the evil magicians and dangerous creatures and bring peace back to people. Their mission is also your mission, start with your friend and get over struggle on the road. Dinosaurs are on new adventure together! They are well trained to become squads and now they are after evil creatures which live in their land. You should join this adventure with your friend. 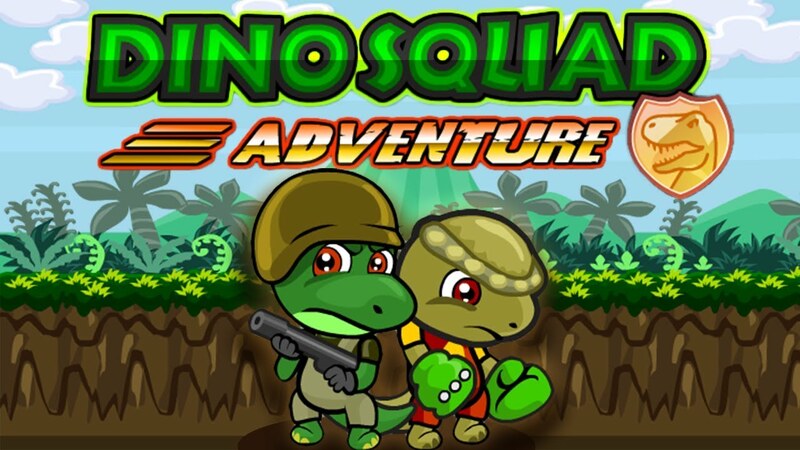 Take your favorite dinosaurs and protect your land from evil ones. The legendary adventure game for two players resumes with part four. You and your friend will have to try to escape from the storm. Face with lots of obstacles on the endless map. Let's see how many ways you can go while you have a storm behind your back. Enjoy! Two ducks have decided to become ninjas and before that they have to take a test to become the real one. 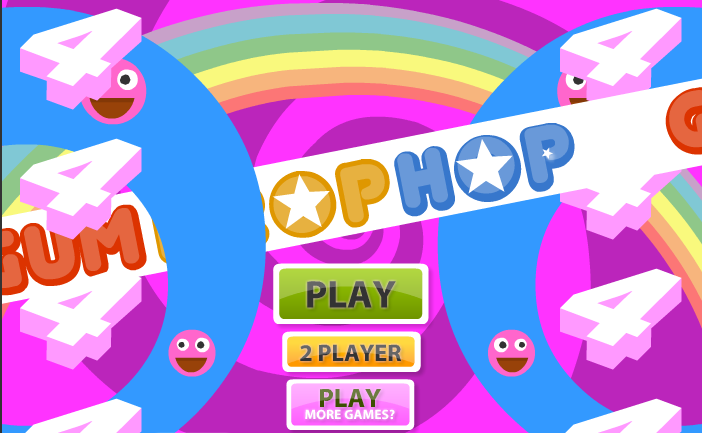 Get over 30 levels of this game as a test. Play with your friend to help them. 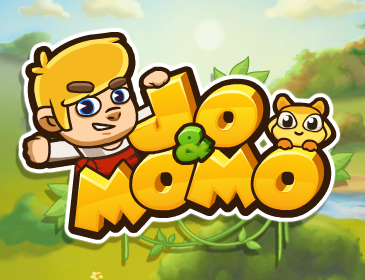 Jo and Momo are friends. One day, Jo saves Momo from an evil wizard but Jo's girl friend is being kidnapped. They have to save her in a new adventure. Play with your friend and get through all traps in the game. Have fun! 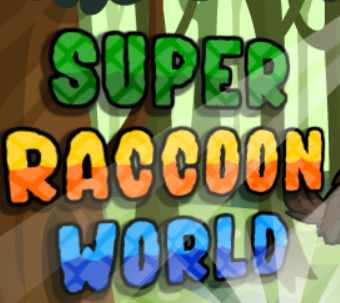 Racoons are preparing their food storage for the winter. Collect all the corns you see in the terrain and remember to stay away from dangerous creatures try to get close to you. Play with your friend to support each other. Have fun! 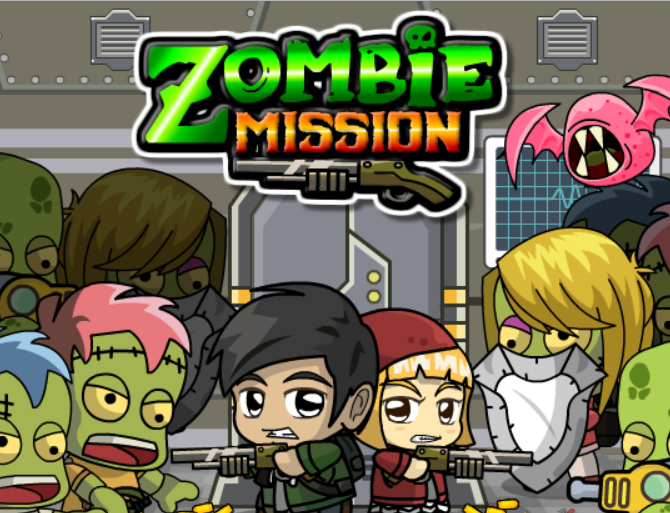 Help scientists protect zombie to save the future. The game is very easy so you can simply win I bet. 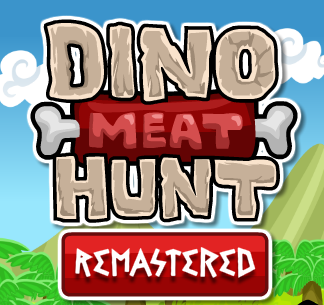 The aim of this cute game is eating all meats of each level and make dinos go to cages. The Red one cannot swim so the small dino has to jump first and make a bridge to cross the river. 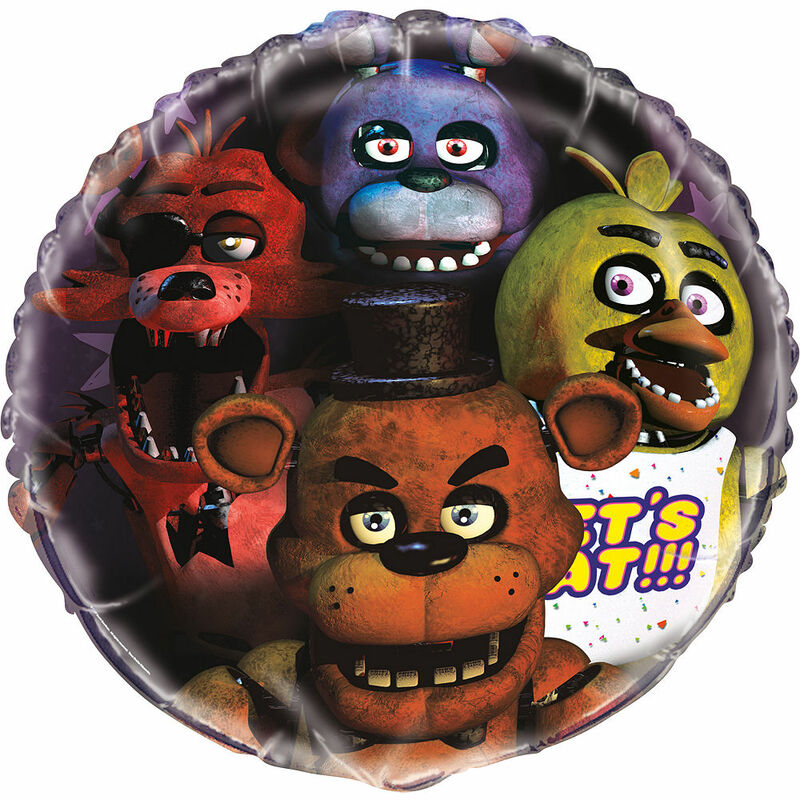 You can try to play with your friend because it's really fun. Try to take back the record from zombies to save all people. Collaborate with your friend and collect all the disks you see in each level, you can use gun and throw bombs to eliminate enemies around. Good luck! 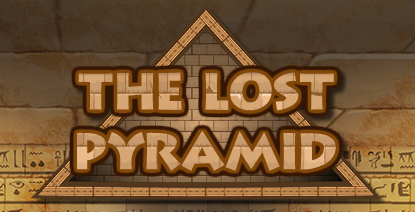 2 friends go into Pyramid to find treasure but before that, they have to avoid all traps and mummies on their way.You can follow your positions on the map by “Mini Map” which is located in the middle of the game screen. Have fun! Continue from the last part and this time will have a new character. You can switch to the new dinosaur by pressing a switch key. 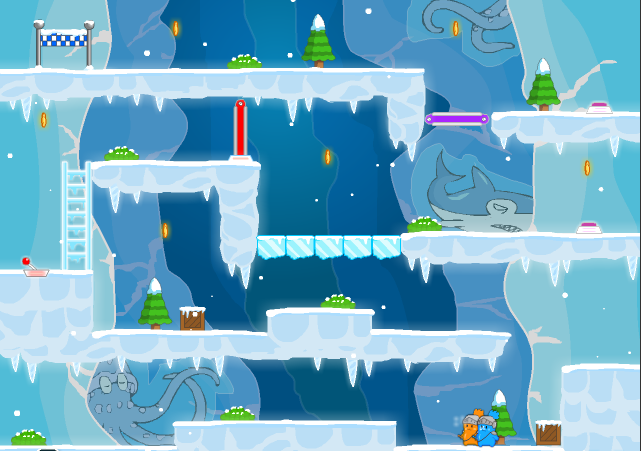 Try to complete all levels of the game against bad dinosaurs and their traps. Good luck! 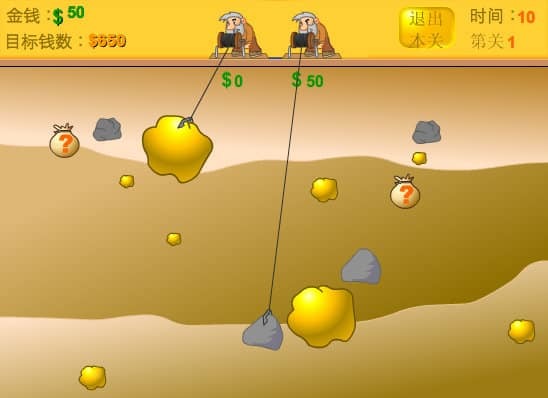 Gold miner is now back for 2 players, you can play with another one to complete difficult missions that cannot be done on your own before. Let's help two dinosaurs get their egg back from a large bird. You can play with your friend and help both of them get over struggle on their way. Good luck! 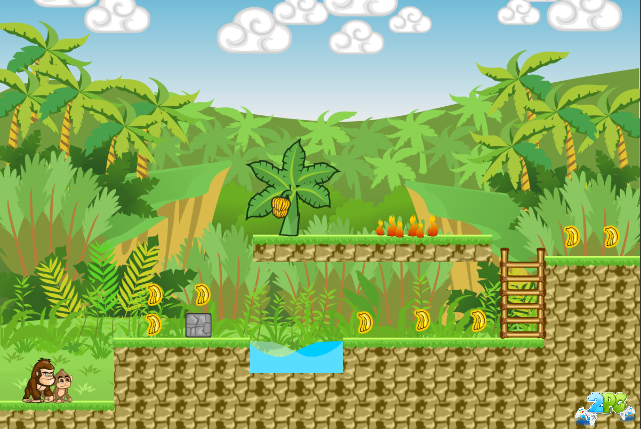 Help Gon and Mon collect bananas of all 20 stages and get through obstacles on their way. Remember that fire does not affect the big monkey, while the smart little monkey is always ready to build a bridge or two. Good luck! The bears set the whole antarctic pole into flames of burning forest. 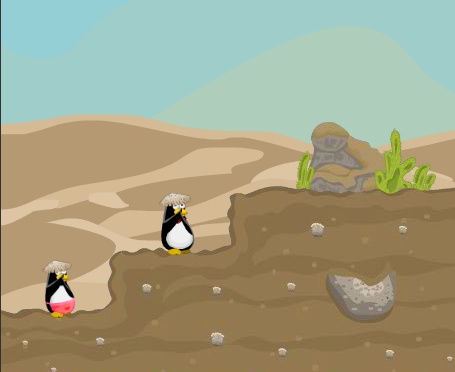 Penguin Couple have to move to another place to live. Help them finish their adventure. This game is for 2 players. Everywhere in the cold Arctic is covered by snow and ice. Come and take the key to get to warmer place. Come with twin cat get through all challenges and get winning by collect coins and items. 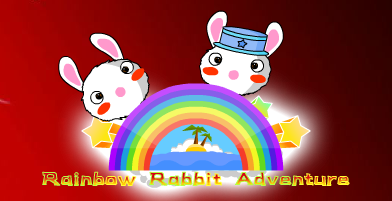 There are two magic rabbits live in the forest.They are able to use magic to make a marvelous rainbow,this rainbow can not only as a bridge to go up high,but also as a weapon to attack enemy.Today,two rabbits go to adventure to collect carrots although there are many dangerous obstacles waiting for them. 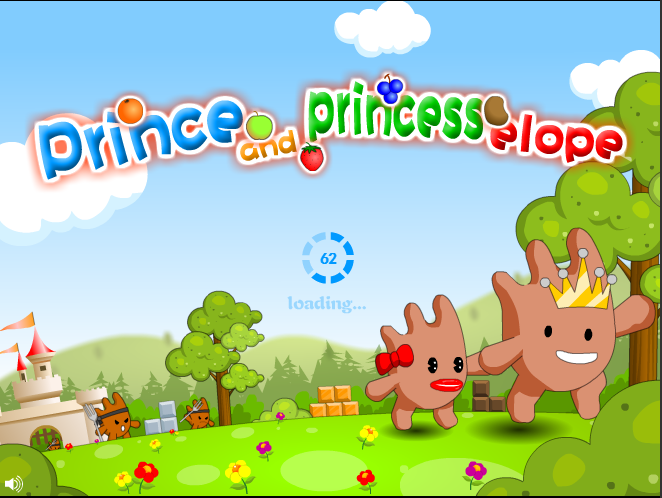 Control princess and prince to pass all levels of jungle's obstacles. 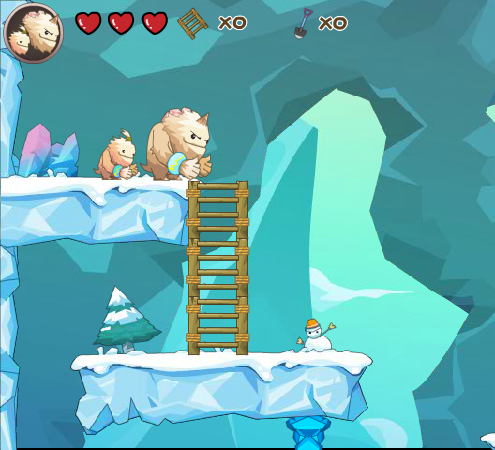 Try to save piggy's sister out of wolf's hand in a dangerous forest. 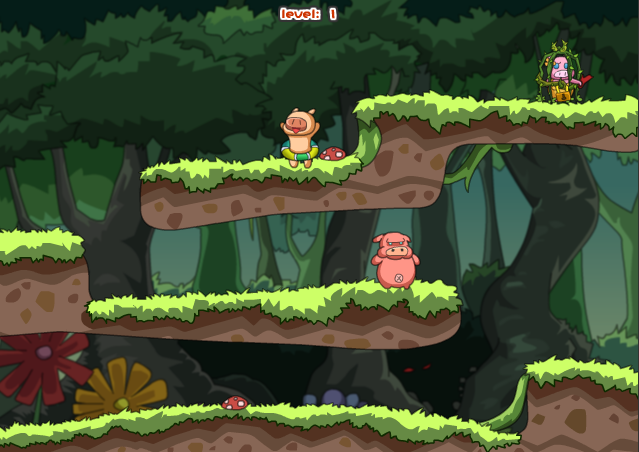 Take the two pig's sister back and survive in dark forest. Good luck! Jim loves Mary but Mary's family forbid they fall in love with each other. They decide to run away to the wood where Jim's uncle is living. Your mission is help them to get where they want to go and avoid dangers. Good luck!